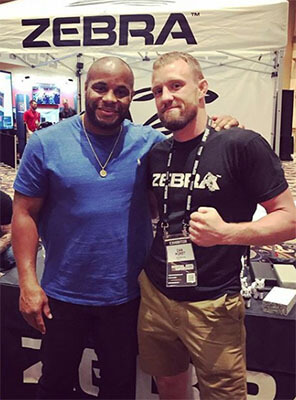 The current UFC light heavyweight champion, Daniel Cormier is a guest in Zebra Athletics' booth today at the Martial Arts SuperShow in Las Vegas. 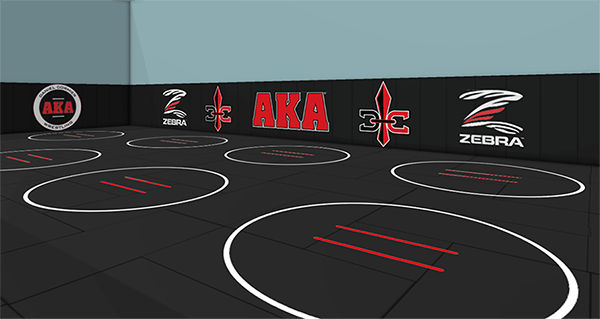 Zebra Athletics is using virtual reality to showcase its mats, padding, cages, bags, and racks in three premier mixed martial arts training centers. SuperShow attendees wear the HTC Vive Pro to visualize and explore The MMA Lab, American Kickboxing Academy, and JacksonWink facilities. The virtual reality exhibit is powered by Powertrak 3D Product Configurator and Virtual Reality Configurator. More information about this project will be announced mid-July. A film crew has been following Daniel Cormier; leading up to his superfight against Stipe Miocic, three consecutive heavyweight title holder, at UFC 226 on July 7 in Las Vegas. For more pictures from this event, follow Zebra Athletics on Instagram. Here is video of Daniel Cormier being blown away by his experience touring his personal training center (The MMA Lab) in virtual reality. Home of heavyweight champion Daniel Cormier (as of 7/7/2018). Here is a 360 degree view of The MMA Lab that is being showcased at the show. You can scan the room to see Zebra's mats, padding, cages, logos, and more. Note: The image quality provided in the 360 degree view is considerably lower than the actual 3D/VR experience.